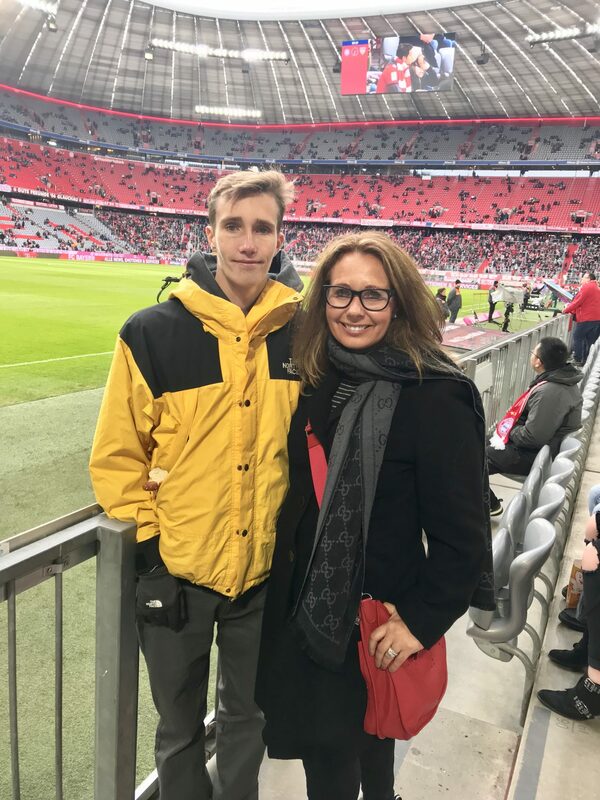 I recently took my high school senior on a mother/son trip to Munich Germany. 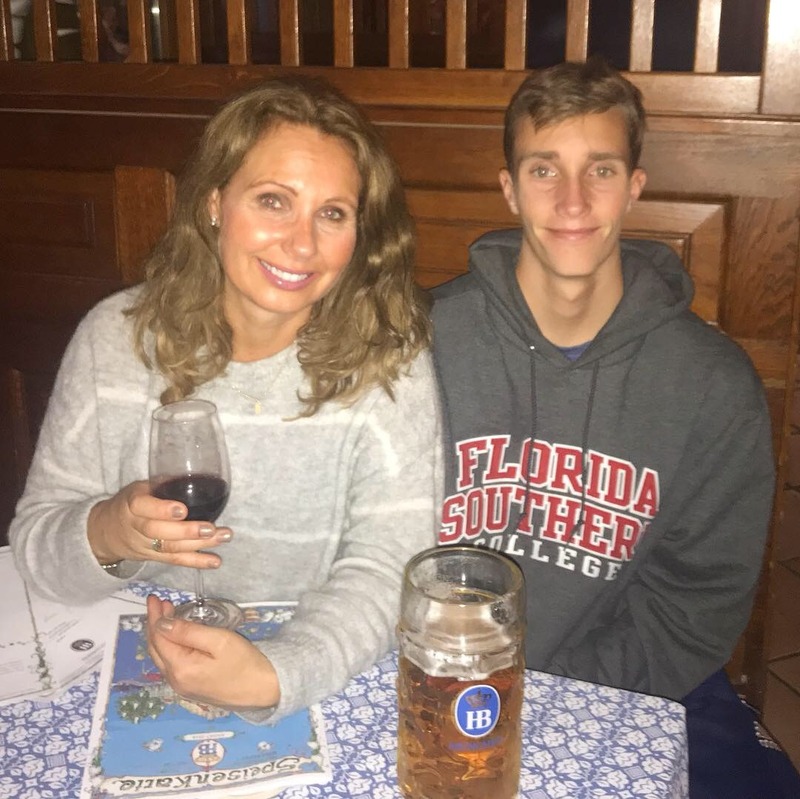 He’s heading to college soon (sniff sniff…I’m not crying you’re crying), and since he first tasted champagne in Paris with me years ago, I thought it was only fitting to buy him his first beer in Munich. (The drinking age in Europe is 18). 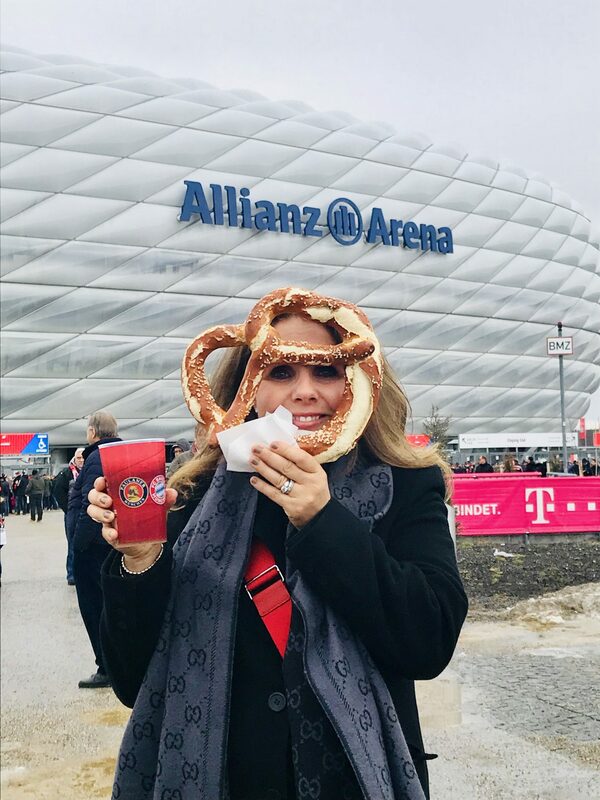 We planned our weekend around a visit to Allianz Arena to catch a Bayern Munich soccer game. 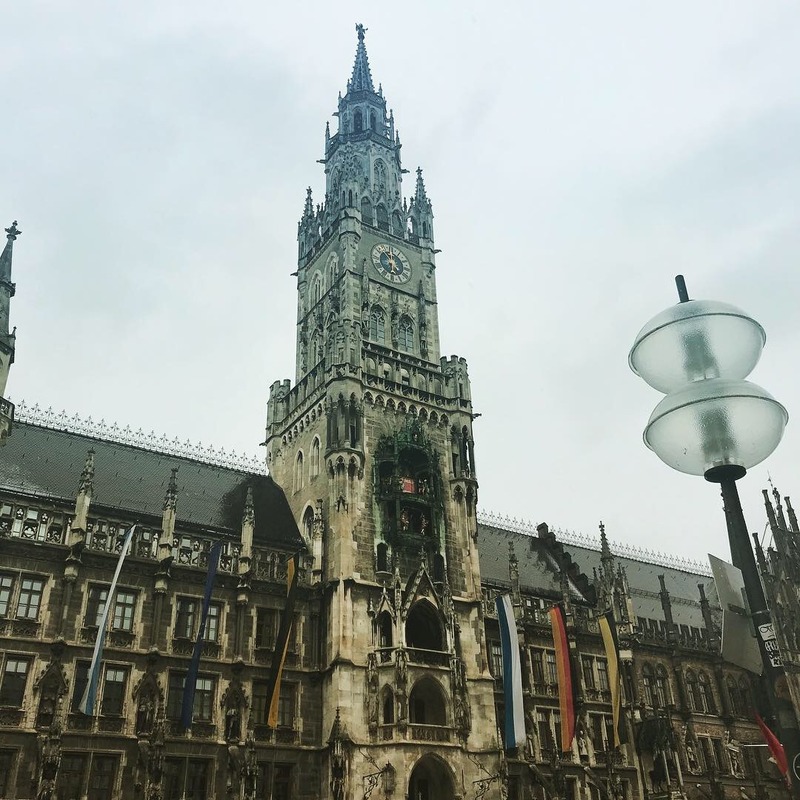 Munich is the capital of Bavaria and is famous for Oktoberfest, however once the millions of tourists stagger away in a beer induced stupor, there’s a picturesque city filled with history just begging to be explored. Here are our five favorite things to do! Beer halls in Munich are like Starbucks in Seattle. There are close to 200 beer halls and gardens in Munich and they are a huge part of the city’s culture. 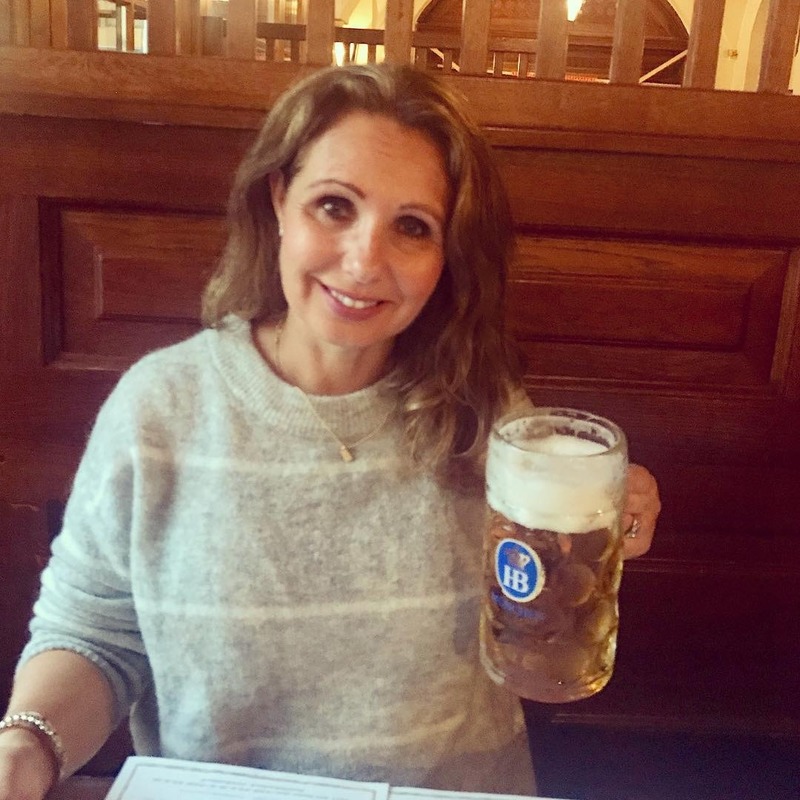 The most famous beer hall is the HofbrauHaus. 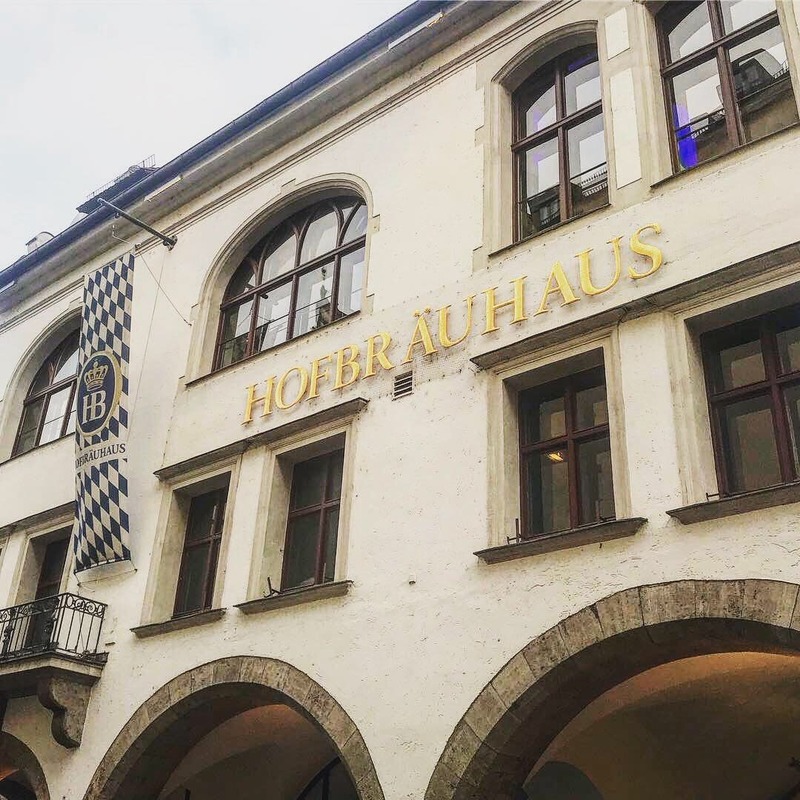 Steeped in history, it is also the oldest beer hall in Munich and was founded in 1589 by the Duke of Bavaria Whilelm the 5th, as the official Royal Brewery, and was exclusively used by the Royal family. We enjoyed the lively atmosphere, authentic German food and beer, and the traditional oompah-pah band. The vibe and the people-watching are loads of fun. 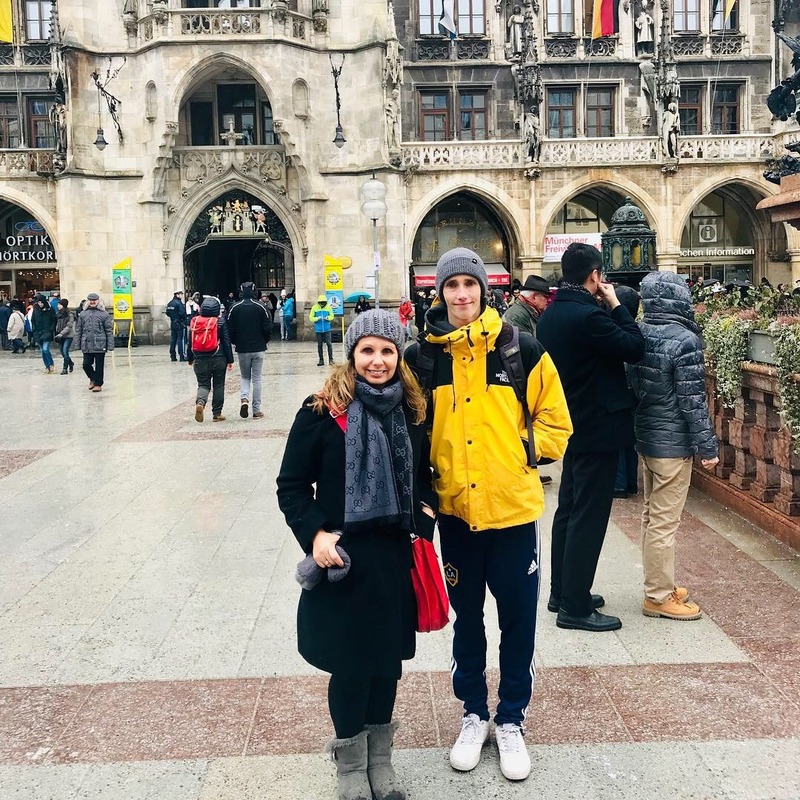 Marienplatz square is the heart and soul of Munich. The Old Town Hall and the New Town Hall are both located here. The square is filled with historic buildings, bustling with street performers, and packed with bars and restaurants selling bratwursts and beer. 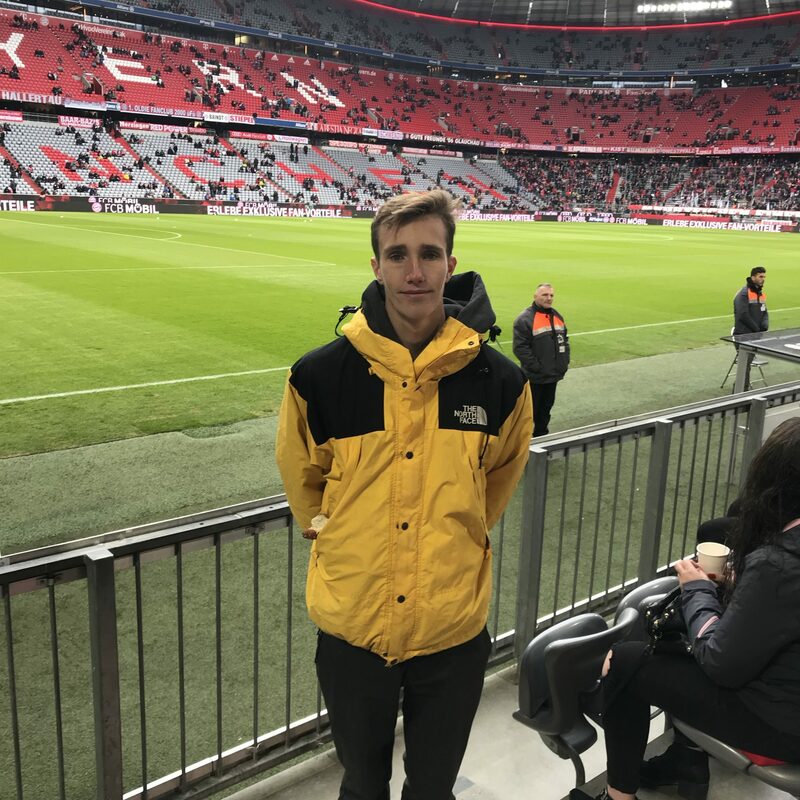 The most popular attraction is the 280-foot tall clock with a 2 level, 28-foot tall Glockenspiel (Carillon), which is the largest in Germany. Everyday at 12noon and 5pm, a performance of motorized German figurines dance around the inside of the tower. The performance lasts 12 minutes and ends with a cuckoo bird popping out above the display. 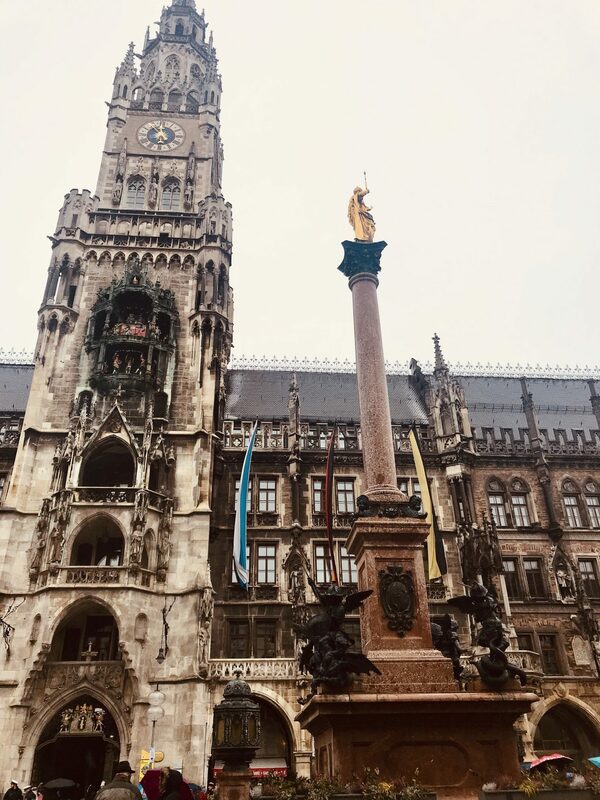 In the center of Marienplatz square the Column of Saint Mary, which was built after the thirty years of war, stands proudly. 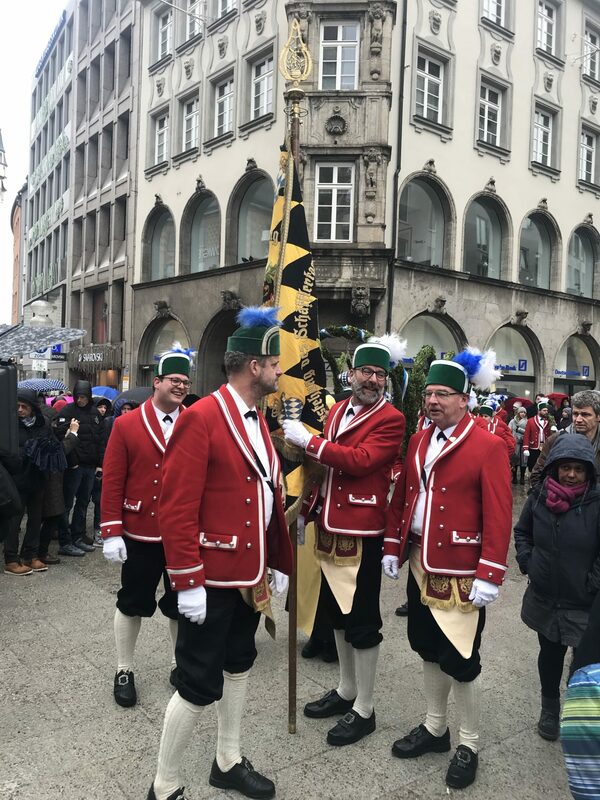 We even saw a traditional Bavarian band perform. 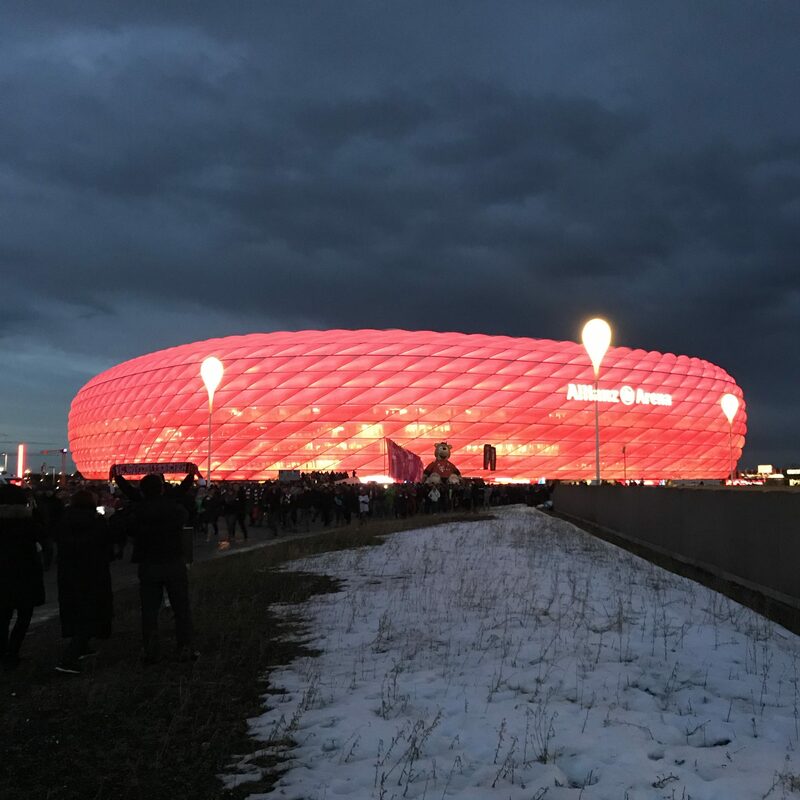 The Allianz arena is home to one of Europe’s greatest soccer teams. 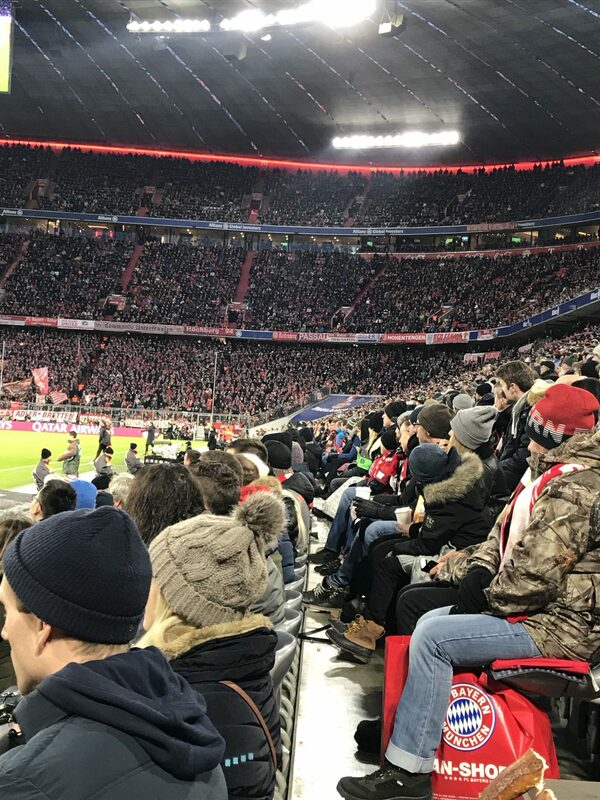 Watching Bayern Munich play with 75,000 German football fans is an epic sports experience. 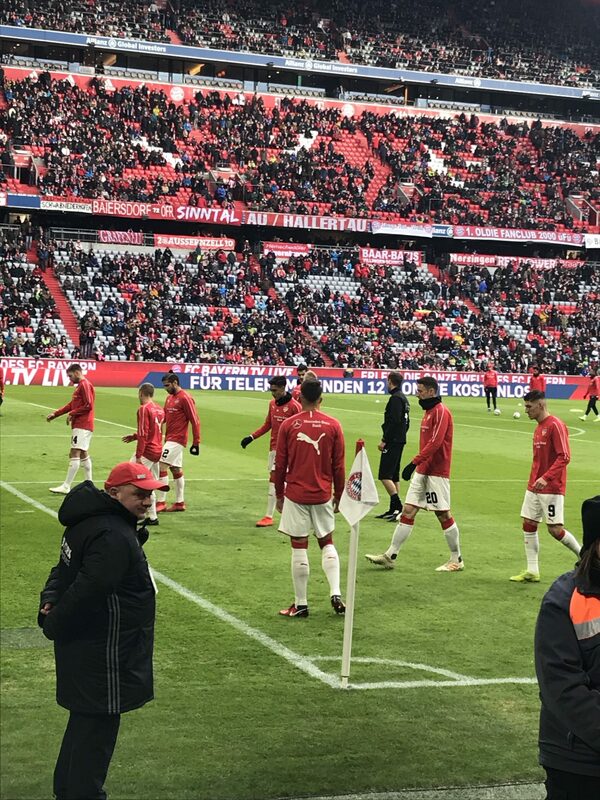 Most games are sold out and you can not only hear the roar of 75,000 avid football fans crowd, but you feel the roar vibrate through your body. This state-of-the-art stadium is a soccer players dream. The arena is easy to get to from the train and the walk allows you to appreciate the unique architecture of the structure as you approach. 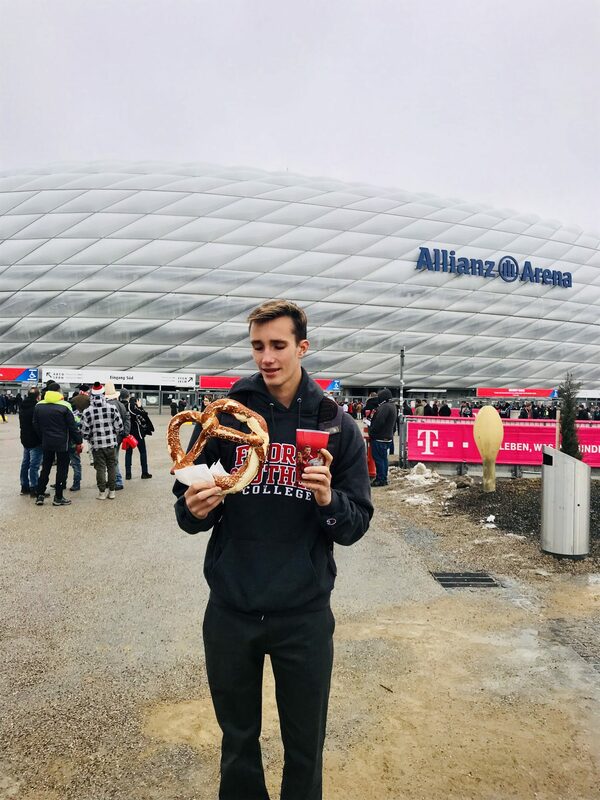 We enjoyed pretzels and German beer with the fans outside before the game and without a doubt, it’s the most impressive stadium we’ve visited. Its quilt-like exterior is made of plastic panels. 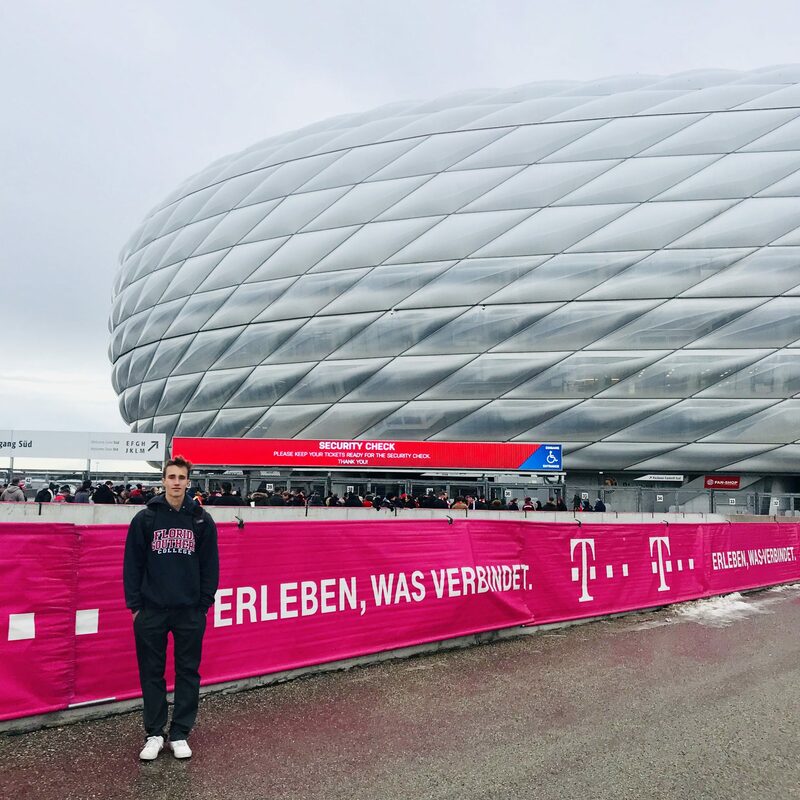 The “bubble” look of the stadium from the outside is stunning (especially at night when it is lit up), and the interior has an incredible retracting roof! 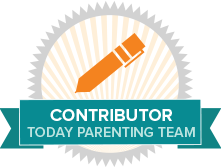 The atmosphere is amazing and I think I’m definitely in contention for ‘mum of the year’ after this special day. 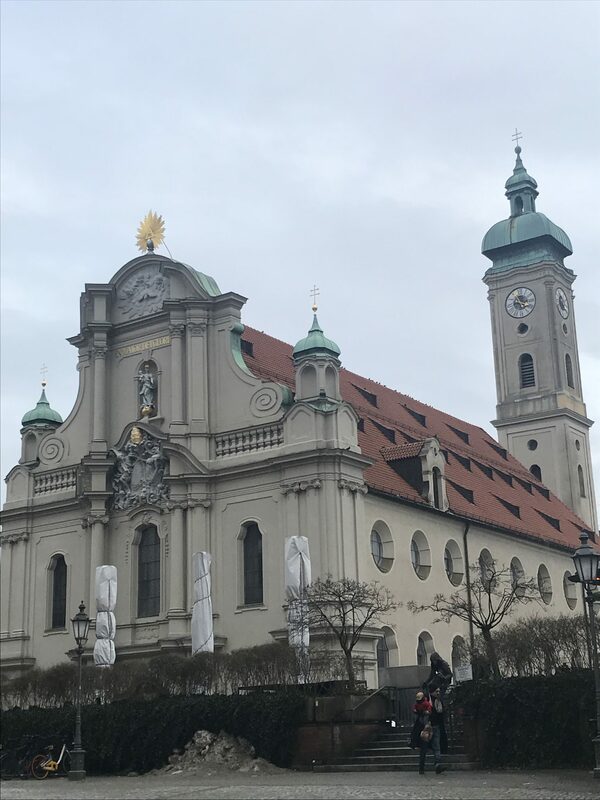 Munich is filled with lovely churches, however most of them were destroyed during World War 1 and rebuilt. Saint Peter’s Church is the oldest church in the city, and is known for its decadent gold interior. The alter is especially striking. You’re able climb about 300 steps up the tower to see best views of Munich Germany. On clear days, the Alps are visible too. Weisswurst, or literally “white sausage,” are traditional Bavarian sausages that are white, made from minced veal and pork bacon, flavored with parsley, lemon, onions, ginger and cardamom. They are usually served with a sweet Bavarian mustard and pretzels. 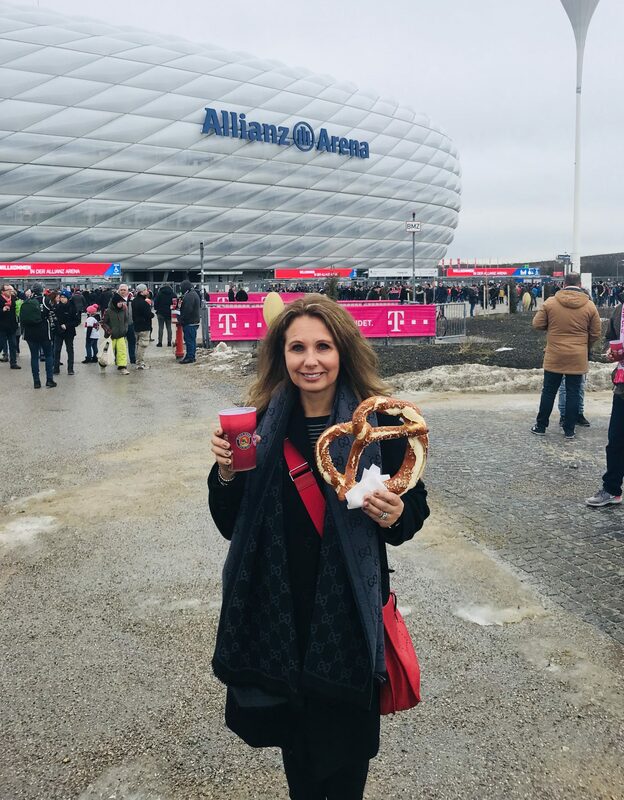 Pretzels are easily found all over Munich and a Bavarian pretzel is a delicious experience of salty, chewy goodness! Bavaria has decadent desserts and strudels. ‘Kaffee und Kuchen’ is as common in Munich as ‘tea and biscuits’ are in England. 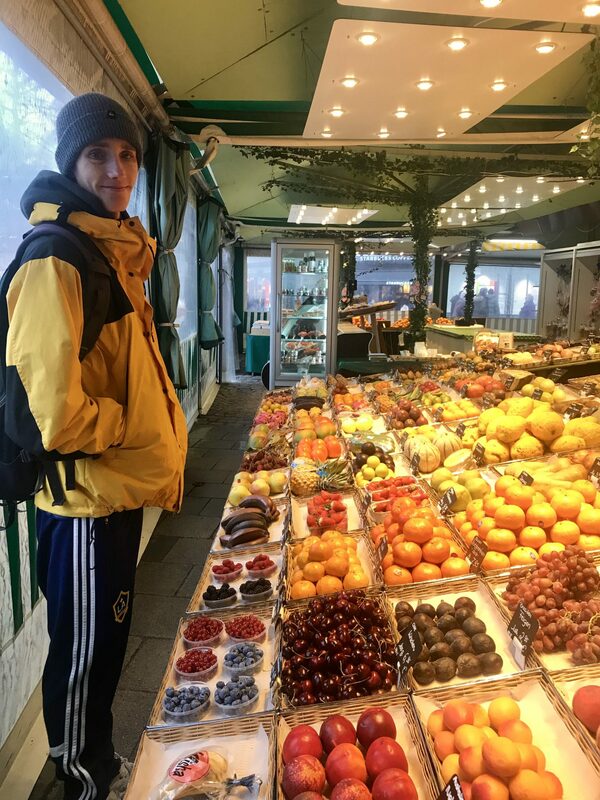 We enjoyed a breakfast of cold meats, cheeses, pretzels, fruit and salmon most mornings, before we headed out for a day of exploring. 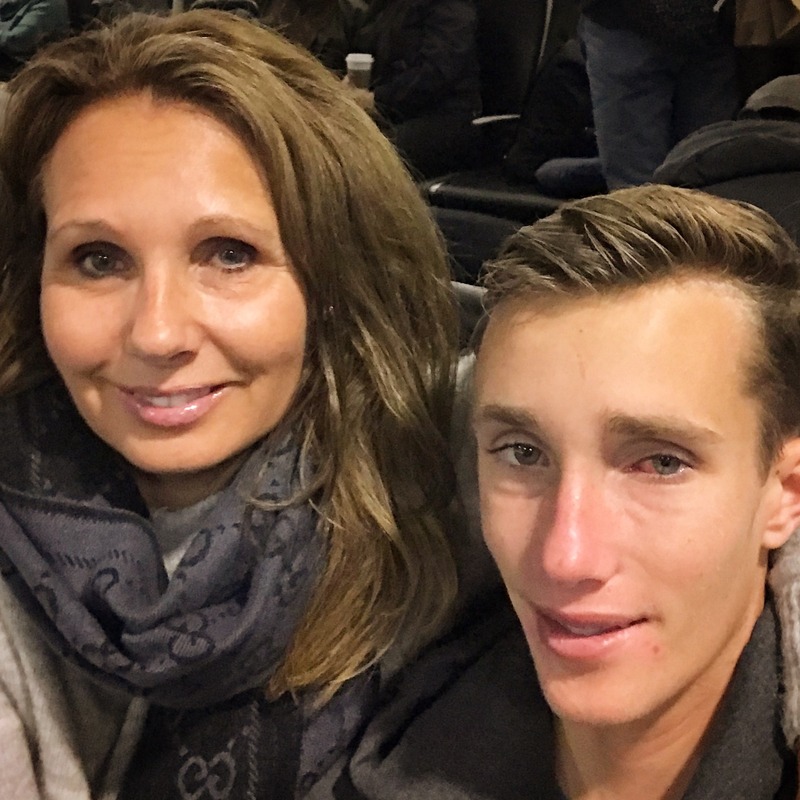 For many teens, traveling with your mom isn’t viewed as the coolest thing to do (granted we do pay! ), but I strongly urge you to plan a solo trip with your senior (boy or girl). We talked, laughed, he took care of carrying the bags, and we shared special experiences. 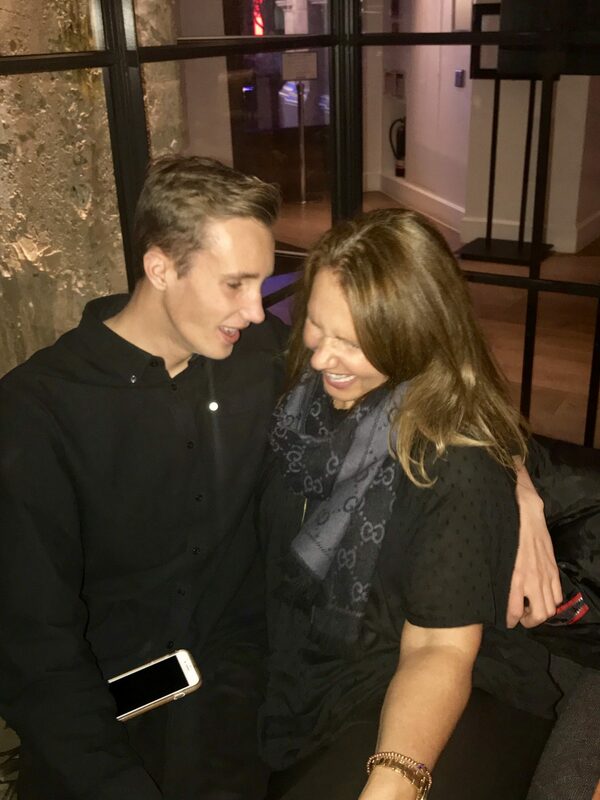 But when he looked into my eyes, put those thick manly arms around my shoulders and pulled me towards him saying “thanks mom, you’re the best, I loved spending time with you” my heart literally melted. Making memories is a priority of ours and we’re both filled with the most amazing memories. 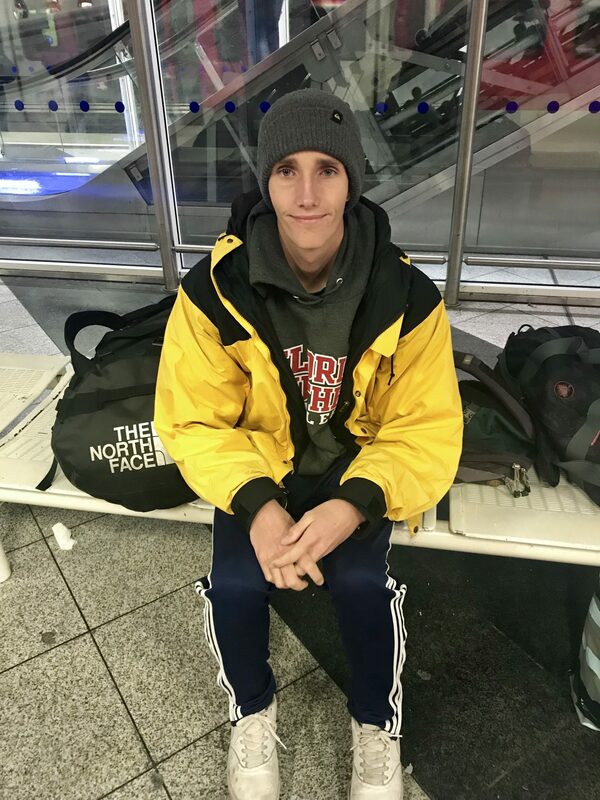 He’s a man now, with one foot out of the door, and I’m holding tight to any time I get to spend with him. We’ll always have Munich Germany. 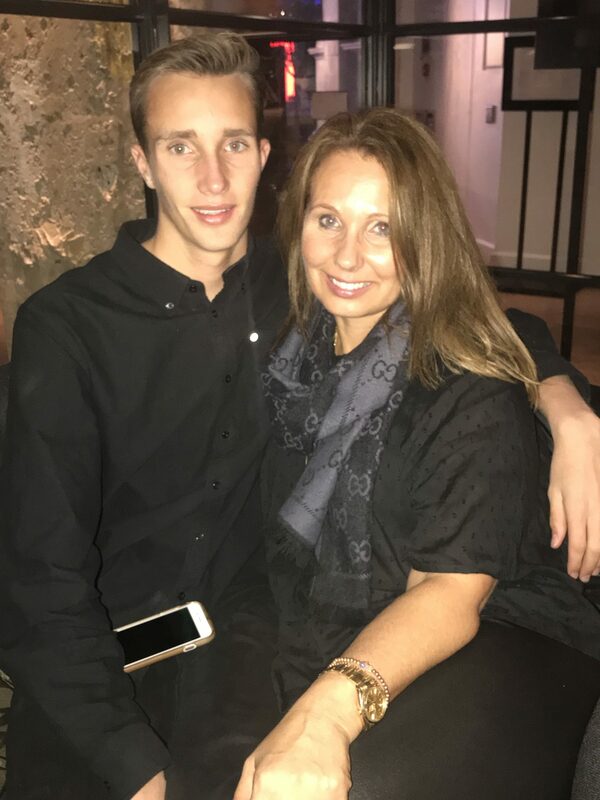 And my 14 year old is already creating his short list of where we’ll go in four years!